Granatstein, J.l.. "NORAD". The Canadian Encyclopedia, 20 February 2018, Historica Canada. https://www.thecanadianencyclopedia.ca/en/article/norad-north-american-air-defence-agreement. Accessed 25 April 2019. The North American Defence Agreement was a 1957 pact that placed under joint command the air forces of Canada and the United States. Its name was later changed to the North American Aerospace Defence Command. The North American Air Defense Agreement was a 1957 pact that placed under joint command the air forces of Canada and the United States. Its name was later changed to the North American Aerospace Defense Command, but it kept the NORAD acronym. On 1 August 1957, the Canadian and American governments announced the two countries would integrate their air-defence forces under a joint command at Colorado Springs, Colorado. The Cold War between the Soviet Union and western nations was underway, and both Canada and the US feared long-range Soviet attack. The Royal Canadian Air Force (RCAF) and the United States Air Force (USAF) would work together to ensure continental protection. NORAD has occasionally been a focus of controversy. In 1957, Prime Minister John Diefenbaker and National Defence Minister George Pearkes, just installed in office, hastily accepted the advice of the Canadian military and agreed to integrate the RCAF with the USAF for the air defence of the continent. Critics felt the decision was taken without adequate preparation (the formal signing did not take place until 12 May 1958, one indication of subsequent concerns), and the Conservative Diefenbaker government was roasted by the Liberal opposition for its haste. Technically, the agreement has been a success – co-ordinating two air forces in pursuit of a difficult mission, and keeping Canadian air crews in line with NORAD doctrine and policy. However, because the consent of both governments is required before any formal alerts or action, there has sometimes been difficulty in implementation, most notably in 1962 during the Cuban Missile Crisis. The American military went on standby alert in 1962 as soon as the crisis was apparent, but the Canadian government delayed for a period of days, angering the administration of US President John F. Kennedy, and provoking much criticism in Canada. In 1966, NORAD’s command moved into the Cheyenne Mountain Operations Center, a giant bunker complex situated underground in Colorado Springs. It remained the main headquarters until 2006, when the command centre moved to nearby Peterson Air Force Base, and the Cheyenne Mountain complex became a backup command centre. NORAD has been maintained by successive governments. The renaming of the command in 1981 reflected a new emphasis on defence and warning against missiles. The advent of cruise missiles also increased NORAD's necessity. The Canadian government recognized this in 1985 by replacing the Distant Early Warning (DEW) Line that had been built in the 1950s with the North Warning System – a series of radar installations across the Canadian North. 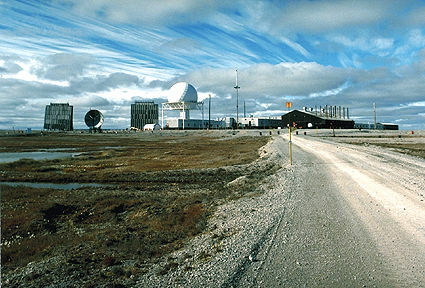 The former DEW radar station at Hall Beach, NWT (photo by Sergeant Jim Smith/courtesy Canadian Forces). In response to changing threats and the collapse of the Soviet Union in 1991, the United States began moving its warning, detection and surveillance into space. This shift in emphasis lessened the importance of Canadian geography in the overall North American aerospace defence strategy. A 1992 NORAD strategy review said that while the Soviet Union no longer existed, its successor states, primarily Russia, still had the weapons NORAD was designed to protect against. The review also flagged the threat of a possible terrorist attack with cruise missiles or similar weaponry. Immediately after the September 2001 terror attacks in the US, NORAD started Operation Noble Eagle to protect North American airspace against further such events. NORAD responded to 2,100 potential threats by June 2006 and flew 42,000 sorties with military aircraft. 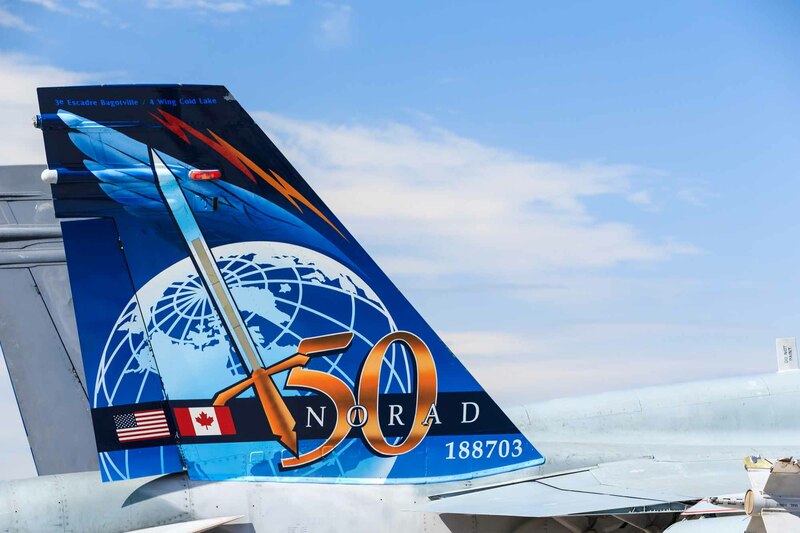 In 2006, Canada and the US renewed NORAD. The new pact made the arrangement permanent, subject to review every four years or at the request of either country. It also expanded NORAD’s mission into maritime (ocean) warnings, although the naval forces of the two countries remain under separate commands. In 2009, NORAD monitored North Korean nuclear and missile tests, but decided the tests posed no immediate threat. 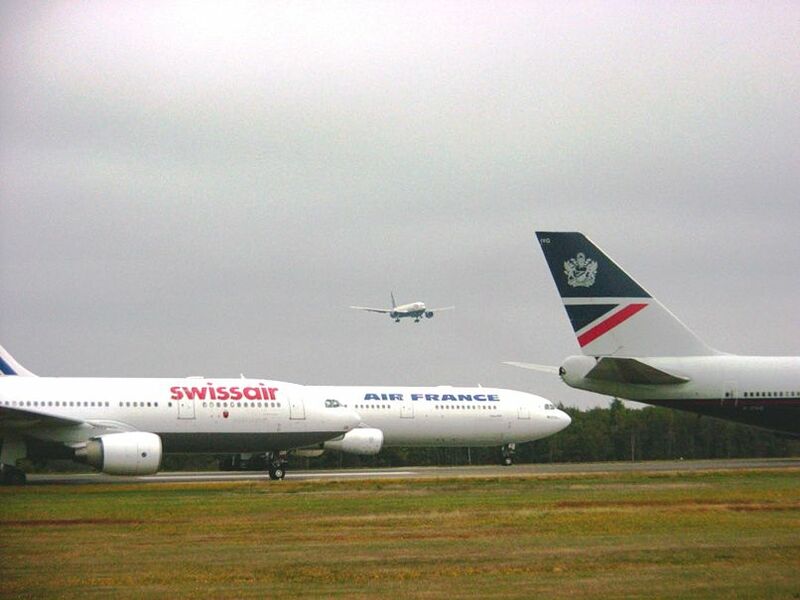 NORAD also provided air security at the 2010 Vancouver Winter Olympics. It has provided similar protection to NASA space shuttle launches, to G8 summit meetings and to Super Bowl football games. In 2012, NORAD renamed its headquarters at Peterson Air Force Base the Eberhart-Findley Building, after both an American general, and RCAF Lieutenant-General Eric Findley. Findley was the first Canadian military officer to have his name used for a US military command centre. C. Gray, Canadian Defence Priorities (1972); J.T. Jockel, No Boundaries Upstairs: Canada, the US and the Origins of North American Air Defence (1987).